Maybe this is normal for all parking spaces at public malls, but for me it is a first. 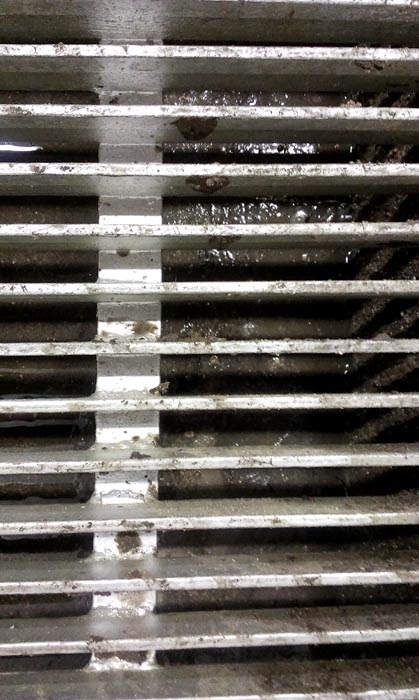 An open drain which stinks and if you look closely carries a stagnant sludge of stinky stuff. I do not know if it is legal, but if it is legal, then it shouldn't be as it poses a health hazard. Surely it is a breeding ground for insects like mosquitoes and other insects? 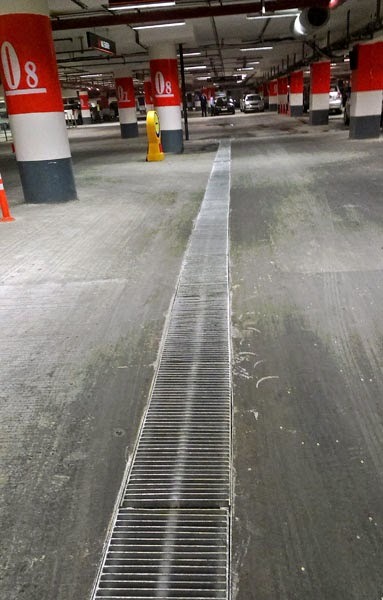 A close look at the grey sludge underneath the grille in the parking lot. I wrote a message to the Viviana Mall on their facebook page and I was told that it would be passed on to the concerned person. That was weeks ago. I really doubt that they will clean up.